Indian Motorcycle is pleased to announce that eleven dealers in Europe will be entering the ‘Project Scout: Build a legend’ competition. The global bike build-off is increasing excitement and interest in the customising opportunities that an Indian Scout offers. The eleven European dealers will go up against other Indian Motorcycle dealers from around the world, facing strong competition in particular from those based in the United States, where the dealer network is extremely passionate about bike customisation. Out of the eleven dealers in Europe, two are from Switzerland, three from Germany, one from Austria, four from France and one from Portugal – and all of them will have their own unique take on how an Indian Scout can be customised. Dealers have to submit photos of their #ProjectScout by a deadline of Friday January 8 2016 – meaning they have just a few weeks of building time left. On Monday January 18, a voting website will go live showing all of the #ProjectScout bikes. Indian Motorcycle fans can then go online and vote for their favourite one up until February 19. On February 20 the three Indian Scouts with the most votes will be announced and the builders of these Scouts will be flown to 75th Daytona Bike Week in Florida, USA (from March 4 to March 14) where a panel of judges will decide the ultimate winner. Party goers at Daytona Bike Week will also get chance to vote for their ‘Fan Favourite’. 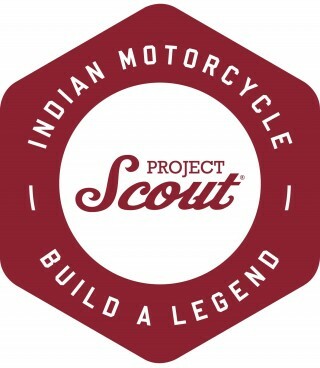 Interviews with some of the Project Scout bike builders mentioned here are possible – please email Dan Tye at press@indianmotorcycle.media with your request. Project Scout: Build a Legend is giving selected dealers a high-profile forum to showcase their passion for Indian Motorcycle and their team’s talent by building a custom Indian Scout.